Sandra Goroff's photography is now available at the Susan Lister Locke Gallery at 28a East Street on the island of Nantucket. Sandra was a guest on Million Dollar Decorating's podcast to talk about her photography with James Swan. Click here to learn more. Read about Sandra Goroff's photography in the Boston Globe. Read about Sandra Goroff's photography in The Portland Press Herald. Sandra's photography has been represented by the Walker Cunningham Gallery of Newbury Street in Boston. 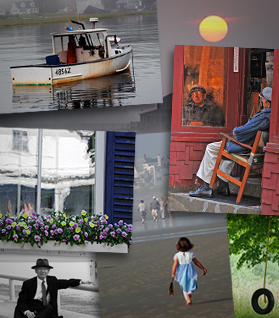 As of May 15, 2016, her photography will be in The Gallery at Somes Sound in Somesville on Mt Desert Island in Maine. 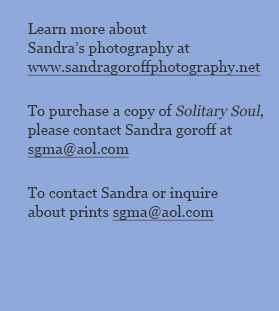 www.galleryatsomessound.com/all-artists/sandra-goroff. Sandra Goroff has joined the board of the National and International Organization, Cameras For Kids Foundation. www.camerasforkidsfoundation.org. This slender volume, though short on words, is nonetheless jam-packed with stories. Sandra Goroff’s camera has captured rust and wrinkles, peeling paint and drying laundry.These fleeting moments form insightful narratives of the everyday and overlooked. Award-winning art and literary publicist Sandra Goroff has promoted such legendary artists as the late Roger Tory Peterson and Maurice Sendak. She has also worked with best-selling children’s authors Chris Van Allsburg, Margret Rey and David Macaulay. In addition, she has promoted art-related projects for The Museum of Modern Art, The Museum of Fine Arts in Boston and the Smithsonian Institution. Sandra comes from a family of artists and is an avid antique collector, design enthusiast, and watercolorist. Her love of photography led her to study with Allison Shaw of Martha’s Vineyard and at the prestigious Maine Media Workshop in Rockport, Maine.